We all love strong shining curls that is free from unnecessary tangles or rough damages. 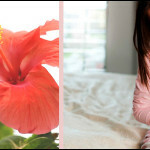 In fact one of the most common wishes that every girl holds close to heart is beautiful strong hair. Salon spa treatments though seem to be the most convenient options but definitely in the long run it would cause damage and undesired roughness. The best option is to resort to natural solutions that would not only nourish your hair but would also prevent it from any kind of damages. 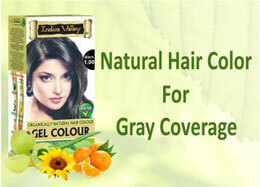 The best herbal ingredients for those long desired beautiful strands are amla, shikakai and reetha. Amla contains anti dandruff properties that give you relief from itchy scalp. This gives a natural shine to your hair. Nourishes your hair from roots to tips. Reduces the hair fall by strengthening the roots of your hair. Make an amla hair pack and for strengthening your hair by mixing amla powder with warm water and honey and mix it well than add some yogurt to it. Apply the mask on your hair and let it stay for and hour and then rinse it off. 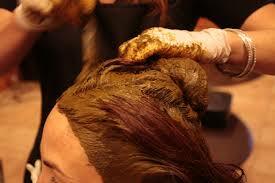 You can also make anti dandruff hair mask by simply adding amla powder and curd. 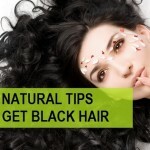 Apply it on your hair and let it sit for half an hour and rinse it off with cold water. This will work great for your dandruff problems. Reetha has been used for hair issues since ancient times. It is an ingredient used in shampoos and soaps for hair wash. Gives you silky shiny hair without causing any damage. It is an excellent cleanser for your hair. Help in removing white flakes from the scalp. To remove that extra oil from your hair boil reetha soap nuts in water for 5 minutes and rinse your hair with that water from roots to tips and massage it properly and than wash your hair with cold water. Get that shiny silky hair by mixing reetha powder and apple cider vinegar and rinse your hair with the solution. Let that sit for 30 minutes and wash it off immediately. Gives your hair a boost and make them stronger and thicker. Treats your minor wounds and soothes your irritated scalp. Can remove your hair split ends. You can make shikakai pack for hair. Take shikakai powder and mix it with curd and use it for your hair. This will help you to get rid of dandruff and will treat your dry hair. Can also be used as shampoo for those who have oily hair and scalp. Mix 2 tablespoon of shikakai powder with one 1 tablespoon of green gram powder and an egg white mix it well. This will clean the dirt and extra oil from your hair. Indus valley is having hair packs for amla, reetha and shikakai which will be helpful and will work great for your hair. The hair packs are 100% organic and have no chemicals infused. Can be used to see great results in your hair.